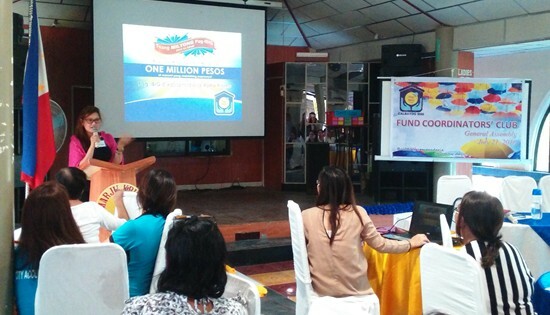 CALBAYOG CITY – Pag-IBIG Fund coordinators club (FCC) holds its 1st general assembly of the current year July 21 hosted by Calbayog City Branch at Marju Krisel Multi Purpose Hall. The assembly reaches a total number of ninety five (95) participants from various government agencies including Local Government Units, Department of Education, Cinemar Tradings, and District Engineering Offices all over the province including Samar First District Engineering Office (SFDEO). 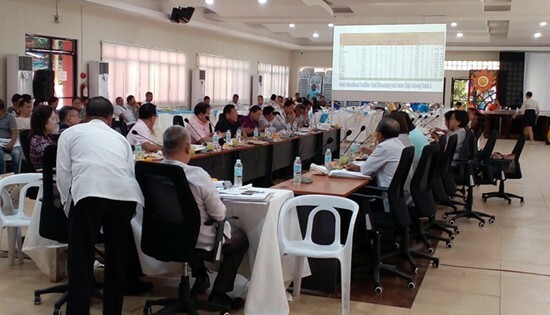 The primary agenda of the meeting is to update all employee-members of the latest/present status on the compliance of Electronic Payment and Collection Facilities (EPCF) and Disbursements, Upgrading of Savings, Pag-IBIG Loyalty Card (Pag-IBIG ID), lowered interest rates on Short Term and Housing Loans. Ms. Ma. Carmela P. Cayobit, Head of Calbayog Member Service Branch (MSB), discussed the assessment of FCC as of June 2016. While Ms. Czarina Tan, MS I Head, showcases the details on their newest program which is the extended “Dagdag Ipon Raffle Promo’’ Loyalty Card that was launched last May 1, 2016 wherein this can be used as discount card to the partner merchants of Pag-IBIG like Pure Gold, Petron Gasul, Generic Pharmacy, Davis,Phil Life and many more. Mr. Edgar Allan Alota, FCC Officer, facilitates the open forum and answers the clarifications and queries raised by the participants regarding the discussed topics as the concluding part of the assembly. Ms. Herren Villas, Administrative Assistant II/ Liaison Officer of SFDEO, actively involves herself on various discussion from the different personalities and speakers of Pag-IBIG Fund to clarify some focal points discussed during the meeting as the same will be re-echoed to her immediate supervisor for the awareness of DPWH-Samar I employees. QUEZON CITY – The political youth group Samahan ng Progresibong Kabataan (SPARK) hailed the speedy issuance of a temporary restraining order by the Supreme Court on their petition seeking the cessation of the implementation of the curfew ordinances of the cities of Manila, Quezon and Navotas. “We view the intervention of the High Court as an initial victory since it deemed the controversy over the implementation of Oplan Rody an urgent matter for judicial review since it involves the rights of the minors as we have stipulated in our petition,” said Joanne Lim, spokesperson of SPARK. The group called the curfew ordinances “unconstitutional” for it counters present laws as well as it infringes the constitutional rights of parents in the rearing of their children. She also added that, “despite the TRO, we believe that the battle, however, is far from over. There is so much to be done in advancing the rights and welfare of the youth. Besides the curfews, SPARK is also adamantly opposed to maneuvers to lower the age of criminal liability as well as the continued intrusion of the private sector in state universities and colleges. 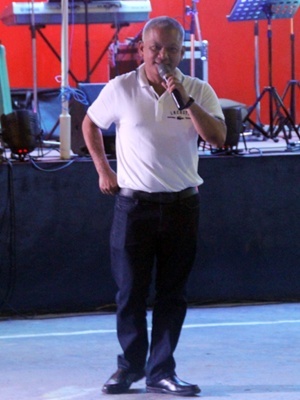 Lim called on the youth to remain vigilant and maintain active participation in monitoring and reporting cases of abuse by persons of authority especially in the cities and municipalities not covered in the Supreme Court’s TRO. “We are encouraging everyone not only students but even their parents to directly get in touch with us through social media so that we may assist them in whatever way possible. If there are still any human rights violated through these curfews, we must take the necessary legal actions till abuses and victim-blaming is totally eradicated”. “With immense optimism, we anticipate that the Supreme Court, as the last bastion of freedom, democracy and justice, will side with us in the end, Lim concluded. QUEZON CITY – The Supreme Court final decision declaring the constitutionality of the US-PH Enhanced Defense Cooperation Agreement reaffirms the need for the Filipino people to continue asserting Philippine sovereignty and an independent and nationalist foreign policy," Cristina Palabay, Karapatan secretary general, said in reaction to the recent SC decision on EDCA. "The main provisions of EDCA on agreed locations for US personnel rotational basing and for US facilities and war materiel will strengthen US influence and control in the Philippines," Palabay said. The decision came a day before the arrival of US Secretary of State John Kerry in the Philippines, and the promised $42 million US military aid package for maritime security with the use of PH-China territorial dispute as its justification. "This whole package also includes funding for the continuing implementation of US-driven counterinsurgency program Oplan Bayanihan that resulted to numerous rights violations," Palabay said. Karapatan said that aside from the said military aid package, the US gave $243 million to the BS Aquino regime and the Armed Forces of the Philippines. "This poison-laced assistance from the US is meant to cement the geopolitical and military dominance of the US in the Philippines and in Asia, and promote and conduct war against the Filipino people thru Oplan Bayanihan," Palabay said. Karapatan scored Kerry's comments during a press conference this afternoon with Foreign Affairs Secretary on civil and human rights. "It is hypocritical to invoke so-called rights while US interventionist wars and projects in the Middle East, Latin America and Asia, the Philippines included, caused numerous human and people's rights violations." "We call on Pres. Rodrigo Duterte to uphold the country's sovereignty and an independent and nationalist foreign policy by rescinding the EDCA and ending the US-driven Oplan Bayanihan," Palabay ended. CALBAYOG CITY – Employees of Department of Public Works and Highways (DPWH) - Samar First District Engineering Office (SFDEO) take pride for their newly appointed District Engineer (DE), Engr. Alvin A. Ignacio, an incumbent Assistant District Engineer (ADE) of SFDEO, and the newly appointed Assistant District Engineer, Engr. Loreto M. Cedro, a native of Surigao del Sur. Effective June 3 & 17, 2016, the said engineers are declared full pledge DE and ADE pursuant to the memoranda released by the DPWH-Head Office, Manila, last June 17, 2016. ARD Eduarte personally congratulates newly appointed DE Ignacio and ADE Cedro. A thanksgiving celebration relative to the said promotional appointments is facilitated at SFDEO’s Multi-Purpose Hall wherein all budgetary and job order personnel are invited. Officer-in-charge Assistant Regional Director Virgilio C. Eduarte, a newly installed OIC 2nd official at the DPWH-Regional Office No. VIII, graced the occasion, as he shares the same joy with the newly promoted officials being the former head of SFDEO. In his inspirational message, he encouraged all section chiefs of SFDEO to take promotional exams and to attend relative trainings for them to be promoted as well. DE Ignacio expressed his deepest gratitude to OIC-ARD Eduarte for all the encouragement and support, and to his family and employees of Samar I, who, in one way or another, contributed to his promotion. He also declared acceptance of the challenges in leading the District Office. Meanwhile, ADE Cedro thanked Samar I for the warm welcome as he has just assumed office at SFDEO last June 6, 2016. He stated full support to DE Ignacio and signified his intent to strictly observe the policies and guidelines of the department for the betterment of the District Office. With the team up of these two gentlemen, employees are optimistic for greater achievements of Samar I and better working environment. MANILA – Companies responsible for the majority of fossil fuel products that have been manufactured, marketed, and sold since the industrial revolution and have contributed the lion’s share of cumulative global emissions of industrial CO2 and methane, have been ordered to respond to a legal petition that triggered the first-ever national human rights investigation concerning climate change. The Commission on Human Rights of the Philippines (CHR) today sent copies of the complaint filed by the Petitioners, including disaster survivors, community organisations and Greenpeace Southeast Asia, as well as an official order, to the headquarters of the world’s largest investor-owned fossil fuel and cement producers. The order enjoins the companies to submit answers to the Commission within 45 days. “We’ve been affected for so long by storms, droughts…by extreme weather, now made worse by climate change. We just want to live a decent and peaceful life, without fear and being at the mercy of big corporations that only care for their profits. Our only choice is to defend our rights. We want those most responsible to be held accountable. We want justice and to regain the ability to protect the little that we have left for our children”, said Veronica “Derek” Cabe, one of the petitioners from Bataan, where communities are fighting against coal storage facilities and proposals for a new coal-fired power plant and where one of the community leaders advocating against coal was shot dead on 1 July 2016. “Ultimately, those who have profited most from pumping carbon dioxide into the atmosphere must bear the burden of preventing the havoc already being wreaked by climate change. This is the first step in that process. The courageous Filipino people are the first to put the world's largest carbon producers on notice that they must account for their emissions," said Jennifer Morgan, Executive Director of Greenpeace International. On-going Compaction of Embankment Material for the Road Opening/Concreting of Biliran Diversion Road Project. As of June 30, 2016, it has an accomplishment of 35% with a contract cost of P43.0 Million. The said project traverses a rice field covering 12,000 sqm of agricultural land. BILIRAN – Biliran Diversion Road was originally proposed by the previous Acting Chief of Planning & Design Section, Engr. Reynaldo P. Peñaflor who lives in Biliran, Biliran. Being a native of the said Municipality, he knows the problems encountered by the traveling along the National Road traversing within Biliran proper. Having besieged by traffic problems, the Sangguniang Bayan of the Municipality of Biliran together with their former Mayor, Hon. 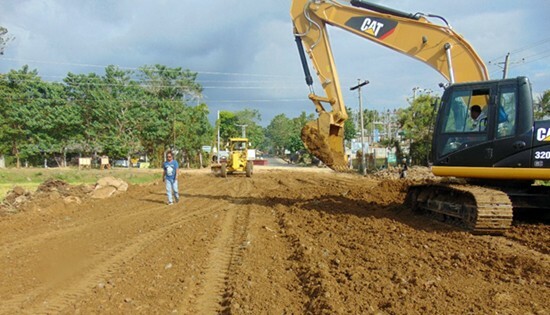 Leandro B. Enage unanimously passed a resolution for the Construction of Diversion Road in the Municipality of Biliran in order to relieve traffic congestion and to fast track the development of the area. The said resolution was forwarded to the Sangguniang Panlalawigan of Biliran Province for their consideration. The said resolution was unanimously approved by the Sangguniang Panlalawigan of Biliran Province. In their letter dated June, 2013 signed by the Hon. Mayor Leandro B. Enage, the former Mayor of Biliran, Biliran, The Department of Public Works and Highways-Biliran DEO was requested to conduct Preliminary & Detailed Engineering activities in order to determine the viability of the project, its cost and possible funding. After survey works, it was determined that the proposed road will traverse a rice field covering 12,000 sqm of agricultural land. It start at the junction of Leyte-Biliran Road (S0001BR) and Biliran Circumferential Road (S00002BR and S00010BR)) and ends at another point along Biliran Circumferential Road going to Naval, the capital town of Biliran Province. The population to be served by the road project ranges from 90,000 to 135,000 with average income of P10,000 to P30,000 per month. After all the required documents were submitted to DPWH Head Office, the proposed project was finally considered under the FY 2016 GAA. At present, the project is now on-going with one problem with a landowner who wanted to be paid with higher land value outside the zonal valuation or market value of the Province. The completion of the project will decongest the currently utilized National Road which is within the Municipality of Biliran. In addition, the future change in transport condition will lure tourist to visit Tourist sites in Biliran Province which is endowed with natural tourist attractions. Further, commercial activity not only in the Municipality of Biliran but in Biliran Province as a whole, like establishment of new shops and other income generating enterprise. Indeed, Biliran DEO is fortunate to be allotted with funds for Biliran Diversion Road, the first in the Province. The presentation of district engineering offices and regional office’s accomplishment on the CY 2016 infrastructure projects wherein Biliran DEO was recognized as the no. 1 top performing district in the implementation of project during the monthly coordination meeting of O.I.C. Regional Director, Edgar B. Tabacon to district engineers and division chiefs on July 19, 2016 at the Regional Office, Baras, Palo, Leyte. The meeting was hosted by Leyte 5th under OIC District Engineer, Eusebio T. Culas. BILIRAN – The Department of Public Works and Highways (DPWH)-Biliran District Engineering Office (DEO) has been recognized by the DPWH Regional Office 8 as the number one top performing engineering office in the implementation of the CY2016 infrastructure projects as of June 30, 2016. This was announced by DPWH Officer-In-charge (OIC) Regional Director, Engr. Edgar B. Tabacon during their monthly coordination meeting with District Engineers and Division Chiefs held at DPWH Regional Office. Biliran DEO has a total of 66 projects completing 53 projects, 9 on-going and 4 projects still not yet started with an overall accomplishment of 77.06% as of June 30, 2016. As per record tabulated by the Regional Monitoring Section, Biliran DEO topped among the 13 District Engineering offices and Regional Office for the implementation of infra projects. The Regional Director commended Biliran DEO District Engineer (DE), David P. Adongay Jr. for the good job done and advised to keep up the good work. He also encourage the District Engineers and Chief of the Construction to exert more effort in order to increase the performance of the Regional Office. OIC-RD Tabacon also asserted that Biliran DEO was the first one to report their accomplishments as of July, 2016. Biliran DEO’s status of implementation of the current infra 2016 CY projects increased with total accomplishment of 80.33% with 57 projects completed, 5 projects on-going and 4 projects not yet started as of July 15, 2016. DE Adongay explained that the 4 projects are still not yet started because of the delayed delivery of materials for the projects. The projects which are not yet started include the repair of National Bridges in the Province with a total cost of P12M. As of July 20, 2016, DE Adongay revealed that the Repair of Looc Bridge project (B00035BR) along National Road has just started and on-going with laying of water proofing materials and sealant. The District Engineer advised the contractor to fast-track the implementation of projects to eliminate the negative slippages. QUEZON CITY – A newly-established political organization of students filed a formal petition before the Supreme Court seeking to end the vague, unjust and repressive municipal curfews directed at the youth. • The Manila curfew ordinance is ultra vires for being contrary to Republic Act No. 9344 or the Juvenile Justice and Welfare Act. • The curfew ordinances are unconstitutional under the doctrine of void for vagueness because it results in arbitrary and discriminatory enforcement. • The curfew ordinances are unconstitutional because it suffers from overbreadth by proscribing or impairing legitimate activities of minors during curfew hours. • The curfew ordinances are unconstitutional because it deprives minors of the right to liberty and the right to travel without substantive due process. • The curfew ordinances are unconstitutional because it deprives parents of the natural and primary right of parents in the rearing of the youth without substantive due process. "We are filing for and on behalf of the all young citizens who also have the right to be contributing members of society without being threatened by undue punishment and possible instances of overreaching from authorities like the police," said SPARK Spokesperson Joanne Lim. "We are also crying foul on the unjust detention of the youth's parents if their children are apprehended during curfew hours," Lim added. As penalty, the ordinance decreed that "a minor found violating the curfew for the first time will be referred to the nearest barangay hall or police station. The parent or guardian will be fined P2,000 or be required to render community service for 48 hours." "As we have previously mentioned, these ordinances are implemented without due consideration of various important factors such as housing conditions of affected areas, hardships encountered in transportation and the late shifts experienced by affected students," Lim stated. The petition recounts the experience of Clarissa Villegas, a minor, also a student of Pamantasan ng Lungsod ng Maynila whose classes end at nine in the evening and travels daily from her school in Manila to her home at Quezon City for almost two hours Villegas was almost apprehended once by authorities while in the middle of her commute as she was apparently in violation of the curfew policy. Presumed to be engaging in malicious activity, petitioner Leo delos Reyes and Ronnel Baccutan were also approached by village watchmen when they were only on their way home from school and engaging in legitimate activities. "We cannot neglect the rights of the citizens, most specially of the children and youth even if this administration's primary concern is the pursuit of peace and order," said legal counsel Atty. Jesus Falcis III. "That is why we are requesting an immediate temporary restraining order for these ordinances while the Supreme Court is deciding on its constitutionality."